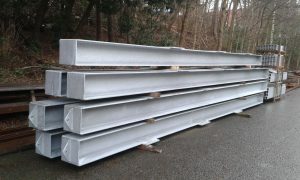 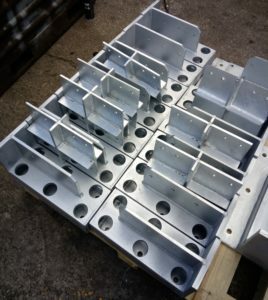 Midcam fabricate a range of steel brackets which are used as connections in glulam structures. 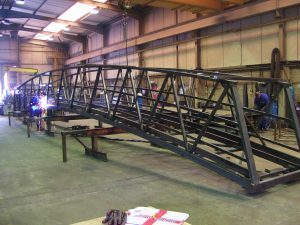 This project included a range of structural steel A-frames which have been fabricated at Midcam and demonstrates some of the profiling capabilities available in house. 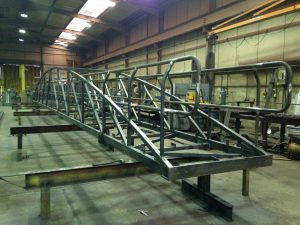 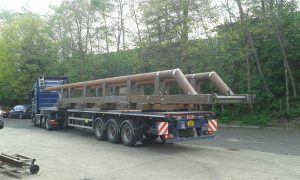 This project consisted of various cut to length sections of 356x368x128 channel, which have had plates welded to them prior to galvanising. 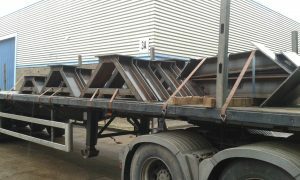 The steel ladder and fender frame were both fabricated in house.